Just off the Blue Ridge Parkway, near the foot of Grandfather Mountain, is a much-loved place called Linville, North Carolina. Generations have chosen this small town as their mountain retreat, both for the pristine natural setting and its timeless aura of Americana. While few opportunities exist to own a new home here with sweeping mountain views, there is an elegant enclave coming to life right now at the heart of it all. Welcome to Linville Oaks and check out some of out newest listings in this amazing neighborhood. 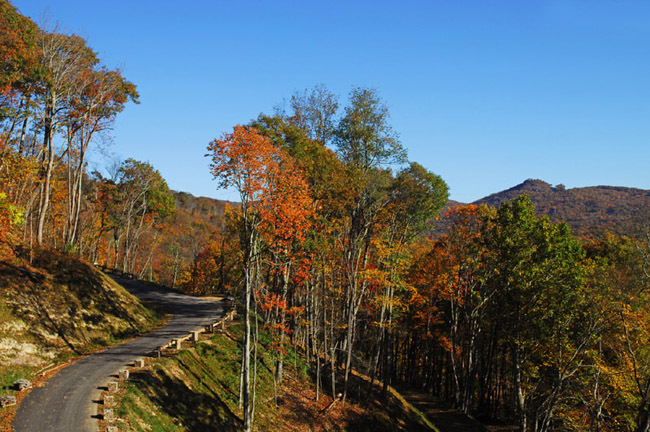 Click here for attractions near Linville, N.C. Annual subdivision dues are $1,763. Dues include all common area landscape maintenance, road maintenance, road snow plowing, and security gate operation and maintenance. Across from the Linville Fire/Rescue station, on Highway 105 turn onto Joe Hartley Rd. At first intersection, turn RIGHT onto West Fork Rd. Turn LEFT at next intersection onto Haas Hartley Rd. 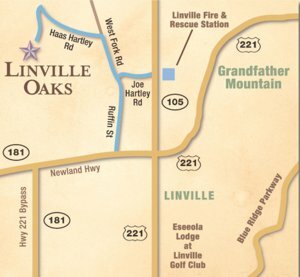 Continue up the mountain to entrance of Linville Oaks.